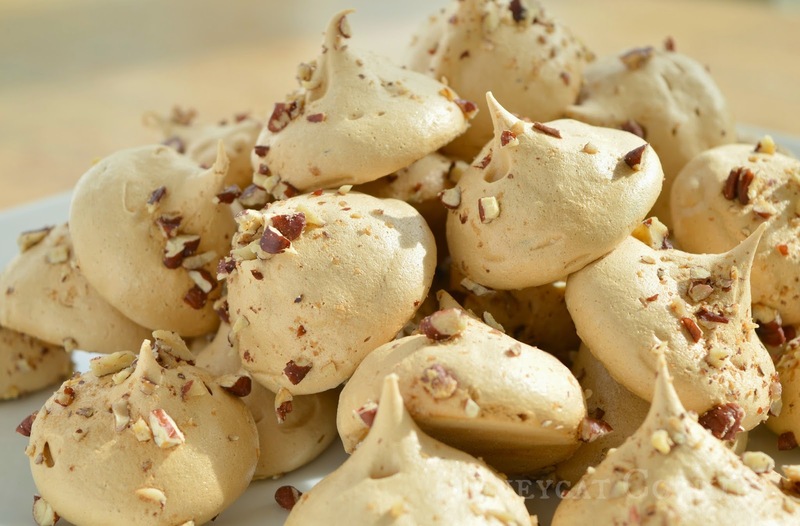 Honeycat Cookies: Nutty Balsamic Meringues, Recipe! I've been messing about with sugar again. I love to make balsamic candied pecans as it seems to me that balsamic vinegar is really made for sweet things rather than savoury. It has a lovely mellow flavour that has a similar effect to lemon, or salt, in the way it cuts through intense sweetness and leaves things tasting rich instead. I know that vinegar can be added to meringue but have never tried it before so it was clearly time to start experimenting. 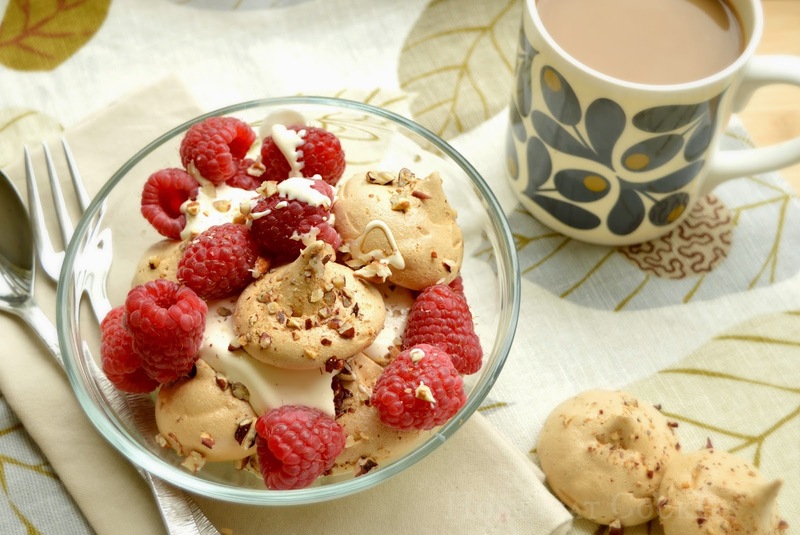 The result is these gorgeous, nutty, almost cinder toffee-like meringues which work perfectly with fruit and cream. I don't buy the most expensive balsamic vinegar there is, but I do use a good quality one. I've tried cheap ones on salads, and they're not much better than ordinary vinegars. The point of this recipe is its balsamickyness rather than vinegaryness, so try to get a good one. Sift the sugars together with a pinch of salt, and prepare two oven trays with parchment paper. Set your oven to 110c. 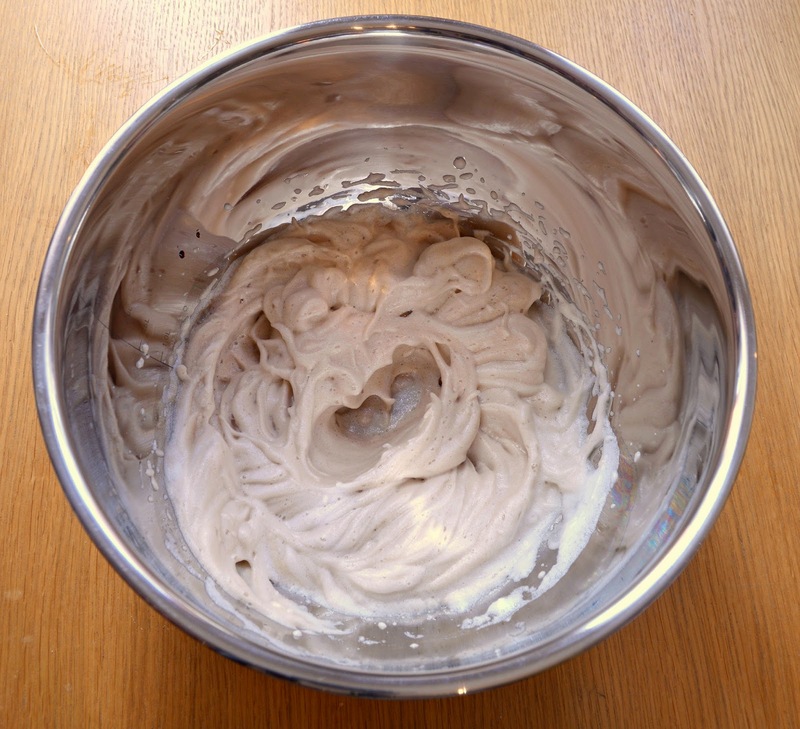 Start whipping the egg whites on low until they're frothy and white but not yet stiff. 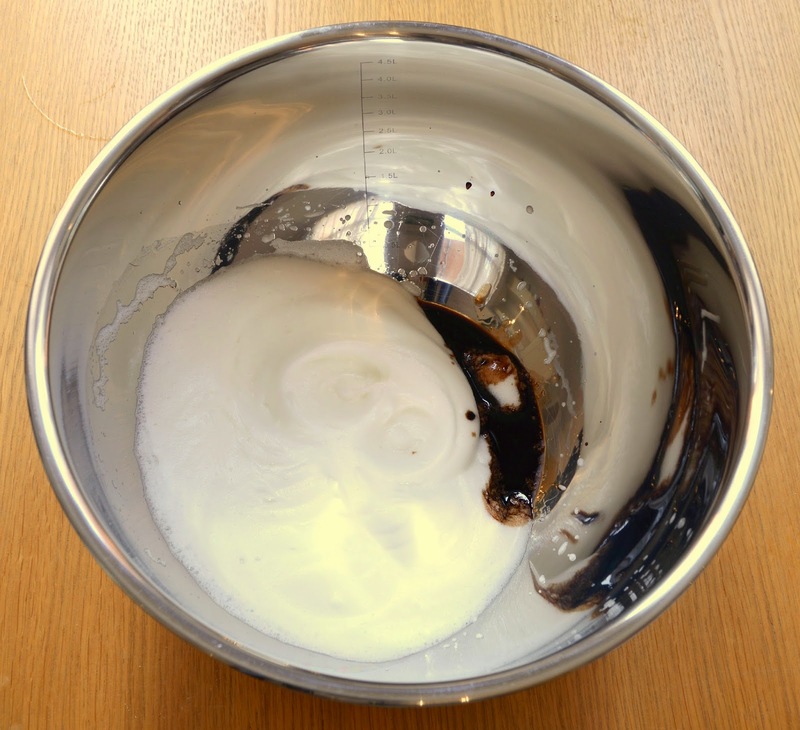 At this point, add the vinegar and start whipping on high until the mixture becomes fairly stiff. Keep whipping and add the sugar a spoonful at a time. 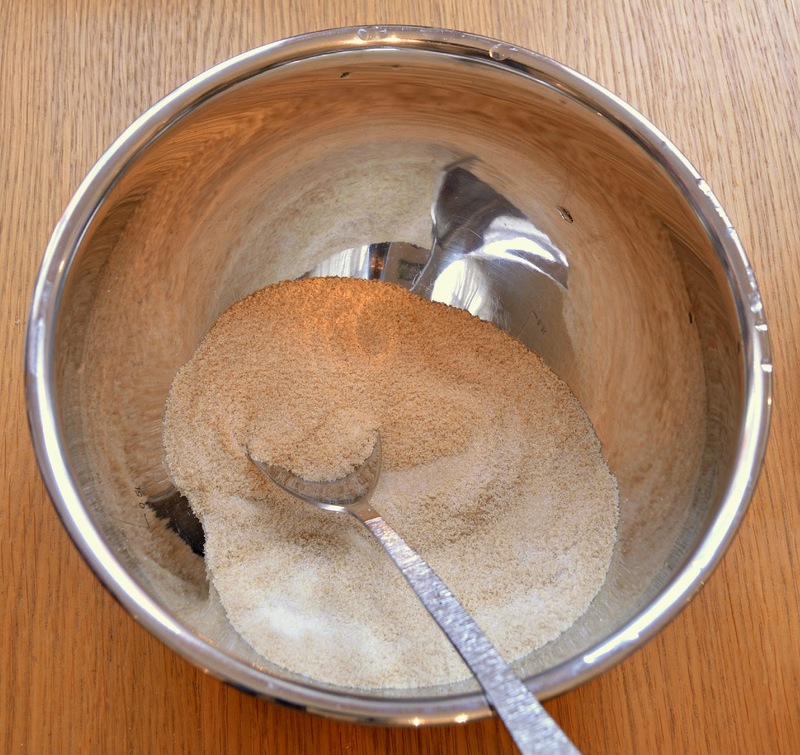 After the last of the sugar is added, keep whipping until the mixture is no longer grainy if rubbed between the fingers, and holds a stiff peak. 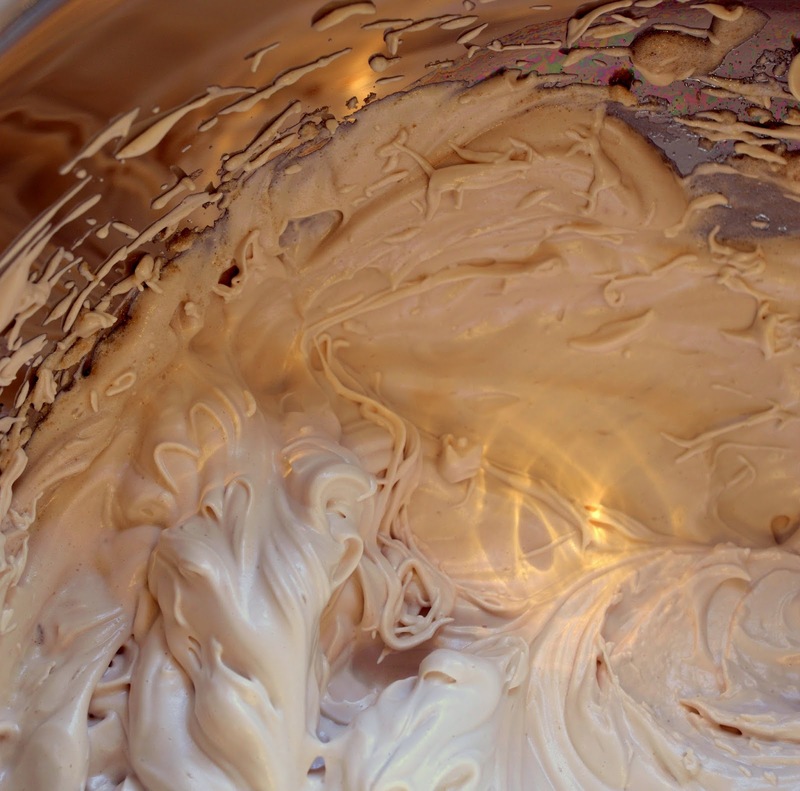 I love the pearly look of freshly whipped meringue. 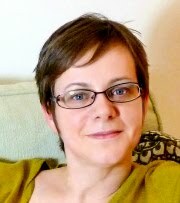 So here's an extra gratuitous close up. Secure the parchment paper to your oven trays using a little smear of meringue under each corner. 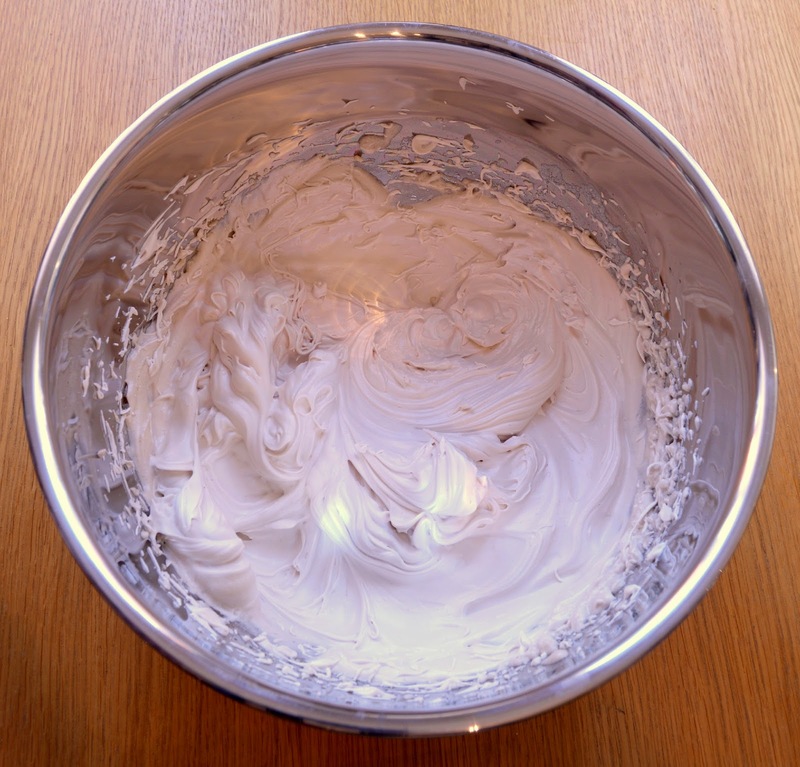 Either scoop out small domes of meringue using two spoons, or using a large piping bag and nozzle, pipe out kisses of the meringue mixture onto your trays. Sprinkle generously with the chopped nuts, and if you fancy, add a sprinkling of salt too (there are very few recipes that can't be improved with a sprinkling of salt in my opinion). Bake at 110c for at least a couple of hours if not longer. 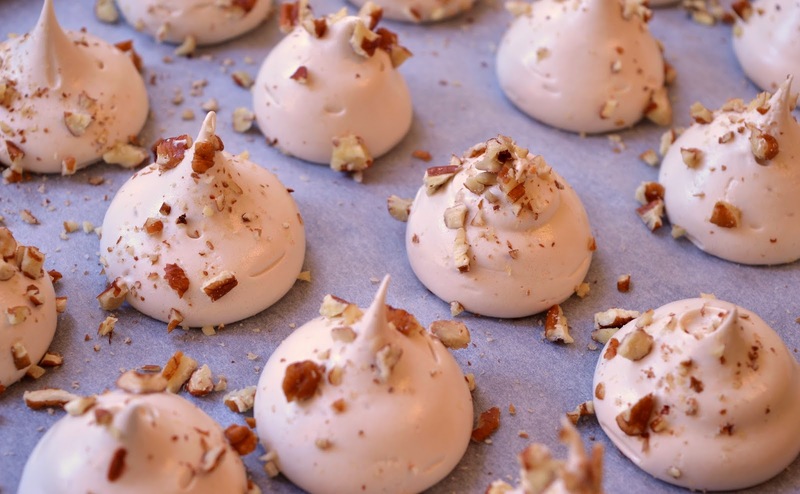 All that vinegar will tend to make the meringues want to stay marshmallowy. I ended up cooking them for 3 hours, then turning the oven off and leaving them overnight. By the morning they were perfectly crisp right through. 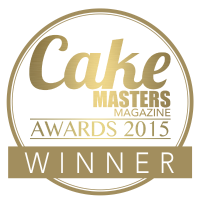 Oh my goodness, these look fantastic! I'm going to try this recipe straightaway! I know you said that they sat atop "thick cream" but, it looks like vanilla ice cream which is what I will ultimately use. I love this idea! 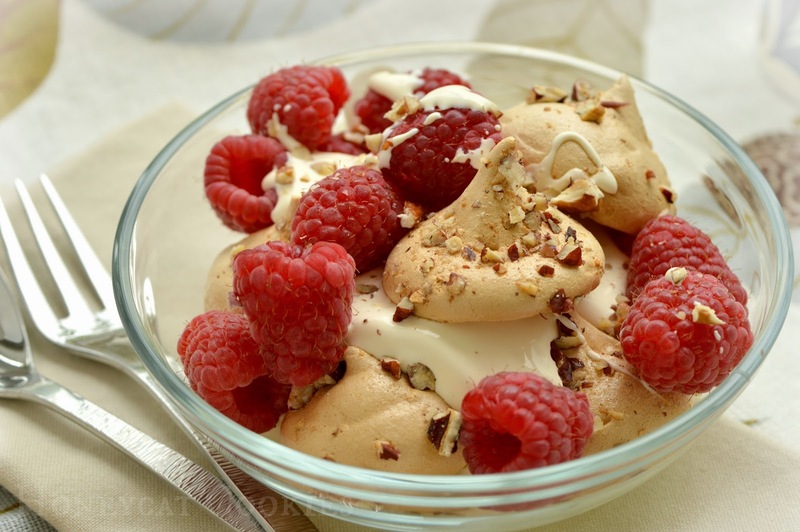 Next time I make Italian meringue, I'm going to try adding balsamic at the end. I think it would be especially delicious with peaches! 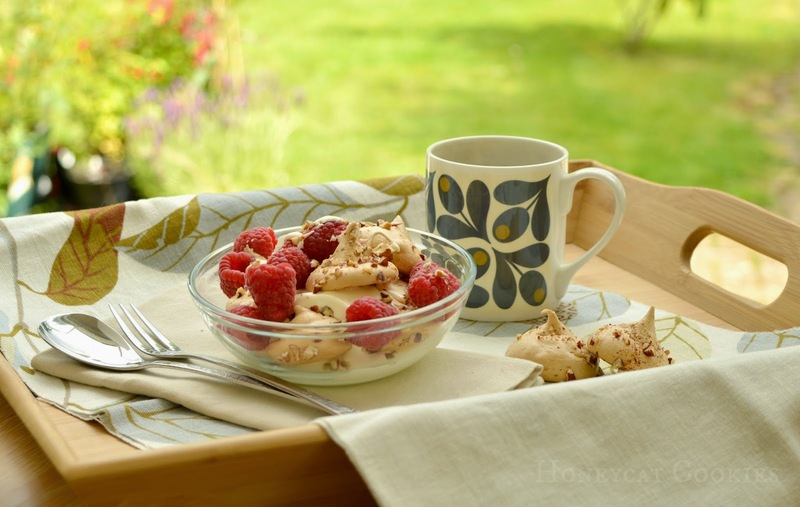 Or peaches and raspberries, a more sophisticated version of peach melba!